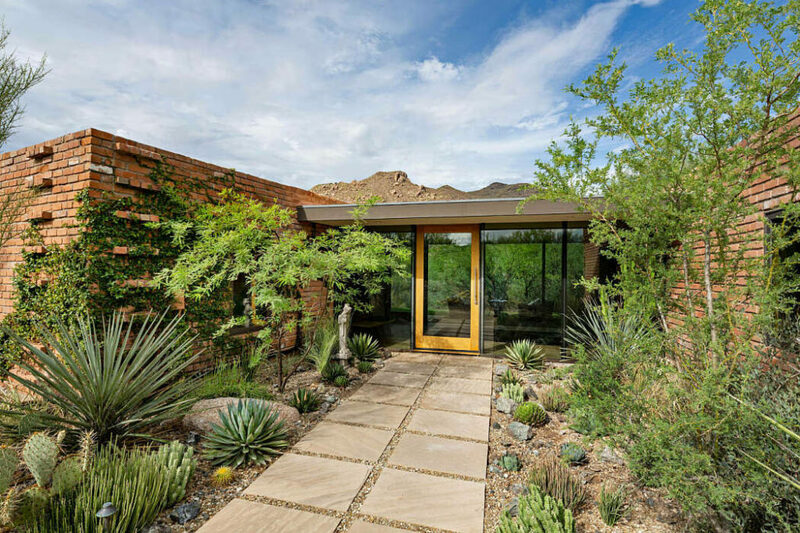 Bounded by Arizona’s natural rock formations and mountain ranges, this recently completed midcentury desert house by Greey Pickett is a head turner inside and out. 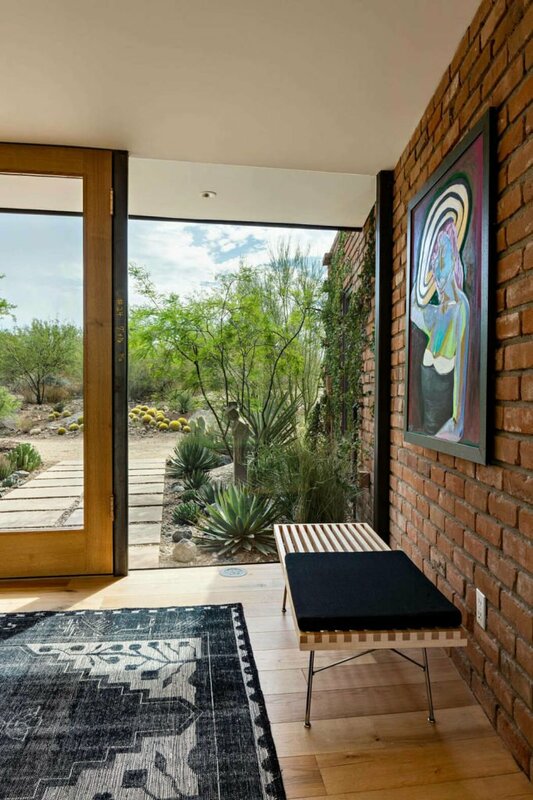 Composed of artists, designers, visionary thinkers and implementers, Greey Pickett’s artistry sided with a midcentury flair is awe inspiring, to say the least. 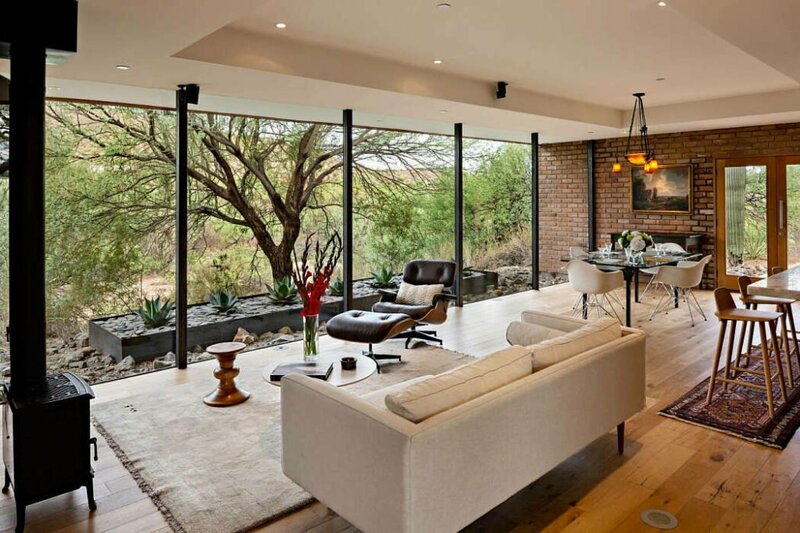 Wrapped in brick for a large part of the front and sides, the contemporary home’s exterior vanishes into the surrounding landscape while vegetation typical to the area – shrubs, cacti and short trees – surround the home. 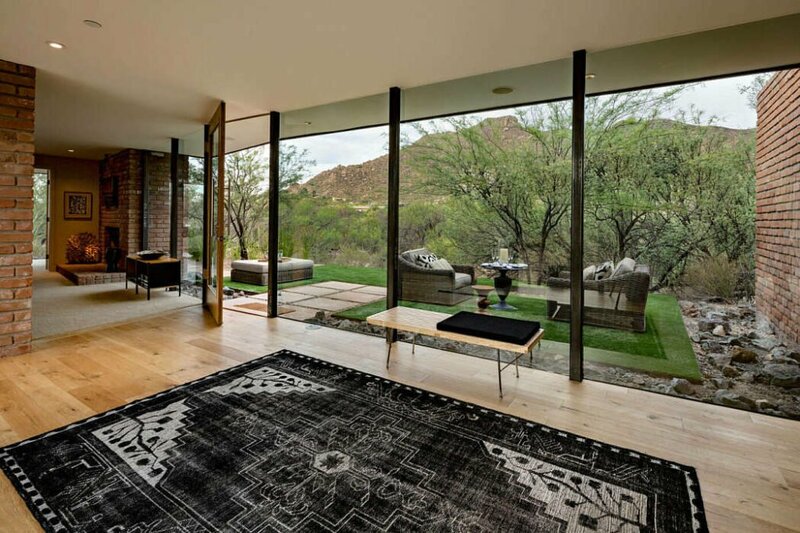 Large stone tiles lead the way to the home’s entrance, a glass door among a series of floor to ceiling windows. A tasteful frame around the entry door gives the facade a refreshing touch, an element that is repeated at the back of the home, leading the way out to the backyard. Floor to ceiling windows line the entire back side, providing stunning views of the surrounding landscape while celebrating the outdoors as it is brought inside. The home enjoys an open plan where the living and dining areas are situated in front of a generous kitchen island, an ideal setup for entertaining guests or spending quality time with the family. Thanks to the windows, natural light streams in throughout the day while the home’s white ceiling and walls ensure that light shines the entire space. The graceful combination of red brick, wood floors, clean white paint and the plentiful floor to ceiling windows is enhanced by carefully selected interior decor to match. 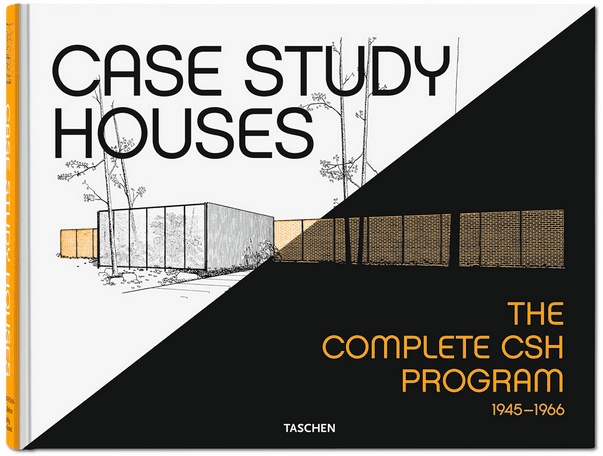 The color palette remains the same; blacks, whites, and wood pigment the majority of the modern midcentury home’s interior. Artworks and flower arrangements throughout the home throw bright splashes of color into the mix. 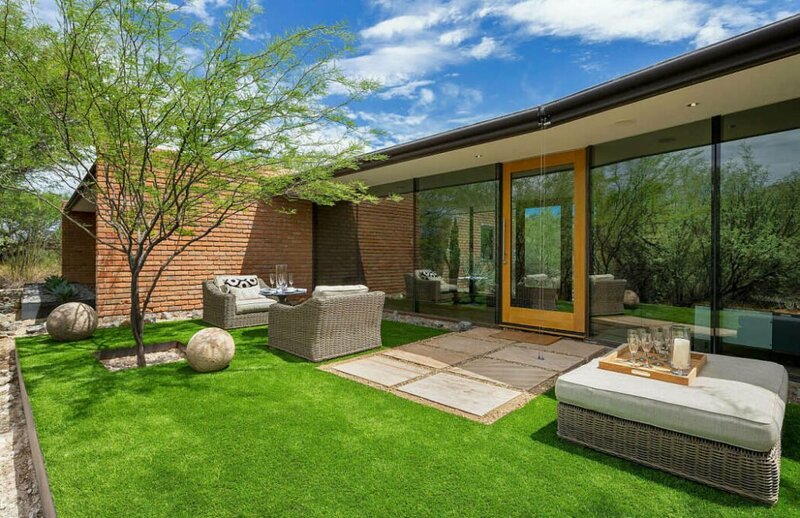 Cane garden furniture dress up the backyard, where plants and trees are planted in rock bedding between and around a neatly framed patch of grass. Other ornaments include a pair of concrete garden spheres and garden lamps to illuminate at night time. 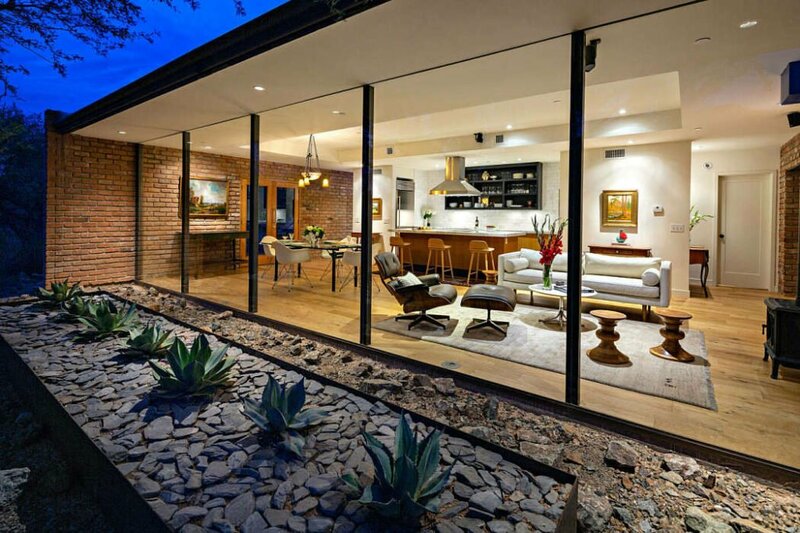 The seeming privacy of this precious home only adds to its charm – the perfect midcentury modern hideaway!